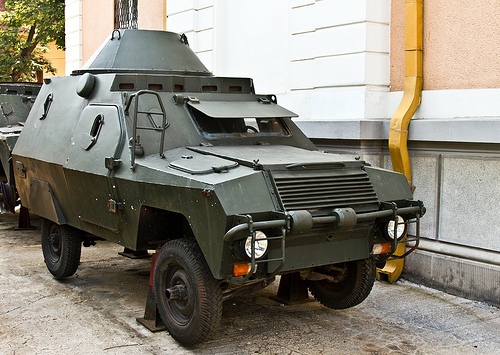 The Romanian ABI Armoured Car is a lightly armoured patrol vehicle built by Romanian firm ROMARM SA and operated by the Romanian Army as well as its police services since 1994. It is standard truck chassis with an armoured structure that accommodates the two man crew and four troops in the rear. A traversable turret is mounted on the roof which can be mounted with either 7.62mm or 12.7mm MG’s. The vehicle has been exported to Algeria but has a different turret.